SKU: ULC30EX Plus. Categories: Horse Supplements, Race Horses. Tags: Horse Supplements, Race Horses. Ulc30EX Plus is a unique product. It is a combination of natural herbal ingredients designed to target ulcers in the fore and hind gut and reduce the pain caused by them. The ingredients have been scientifically proven to relieve ulcer symptoms and to reduce ulcers. Does your horse have Gastric Ulcers or EGUS? Gastric stomach ulcers in horses are extremely common. A collection of over 100 scientific reports revealed that 88% of racehorses and 67% of private/performance horses have gastric ulcers. Based on these figures, it is hardly surprising that many horse owners and trainers contact vets or nutritionists to seek advice as to why their horse appears to be listless, irritable or lethargic. Naturally there can be other ailments that can lead to similar symptoms, but because equine ulcers are so common within horses, it is common practice to rule ulcers out first. Gastric ulcers in horses occur when there is an imbalance of acid levels within the horses gut. If the naturally occurring stomach acid comes in contact with the upper part of the stomach lining, it can burn the lining area and create ulcers. 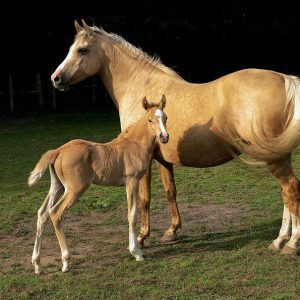 What Causes Equine Gastric Ulcers? 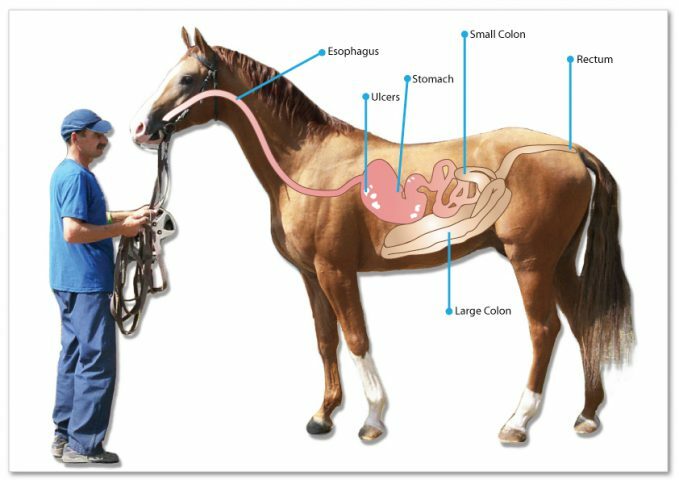 Gastric stomach ulcers in horses usually occur due to three main reasons. As ulcers appear in the stomach, it is natural to look at the horses diet before anything else. Ulcers occur less in horses in the natural environment because they can graze for up to 15 or 16 hours per day. As horses differ from humans in the fact that they produce stomach acid continuously, eating for prolonged periods of time ensures that they keep their PH levels low. 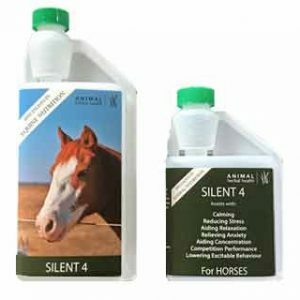 Therefore, acidity levels become reduced as forage passes quickly through the horses system and because the horse naturally produces antacid bicarbonate in its saliva when it chews. Therefore, if you feed your horse with a high-concentrate diet with limited access to forage, it will be far more susceptible to gastric ulcers as the stomach acidity levels will increase. In such cases it is a good idea to also have hay available to encourage natural forage as part of the diet. Any period of fasting or leaving the horse without forage will increase the chance of ulcers occurring as the acidity levels within the stomach will rise. As the scientific studies suggested, performance horses are more susceptible to have ulcers than regular ponies and horses because of additional factors. When horses are subjected to stress of any kind, acidity within the stomach naturally rises and can cause harm unless it is controlled through a supplement. Over training without such treatment creates gastric juices resulting in ulceration and sometimes bleeding. Stress can be caused by a number of factors. These can include movement from one event to another, over training and pain. Therefore, if your horse already has an ulcer that creates pain, then more ulcers can follow if they are not treated. How do You Identify Gastric Ulcers in Horses? 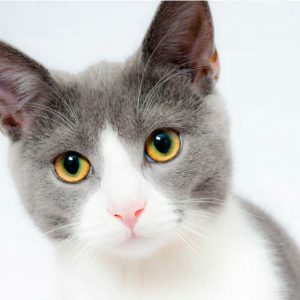 The process will enable the veterinary to see ulcers on screen immediately as most ulceration occurs in the squamous part of the stomach area where the build up of acid has burned through. Esophagogastroscopy can be extremely expensive for a short visit, so based on the facts above it is wise to treat your horse with ULC30EX Plus beforehand. 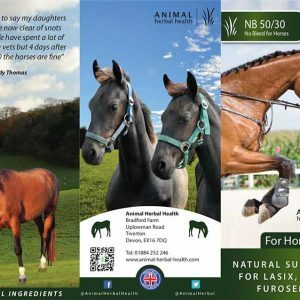 Using our scientifically proven product will have no adverse affects with any medication your horse may already be on and it completely safe to use at all times. Racehorses, competition horses and ponies at highest risk of gastric ulcers are those whose activities, routine and/or inappropriate feeding practices make them more susceptible. To our knowledge, there is not one modern medicine that actively reduces equine ulcers. They simply reduce the symptoms given from the ulcer. Think of it this way; when a human has indigestion it is caused by a build up of acid within the stomach. Therefore, taking a remedy such as a high street brand of anti-acid, will relieve the symptom – not the problem of over-eating. 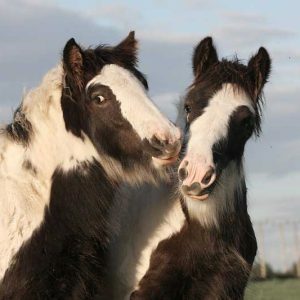 A horse’s stomach will produce a boil up of acid if ulcers are present. Most modern medicines simply reduce the acid to temporarily neutralise the acid. They do not reduce the ulcer which causes the acid. Our scientists have developed a proven natural herbal supplement that reduces the acid AND targets the ulcers. 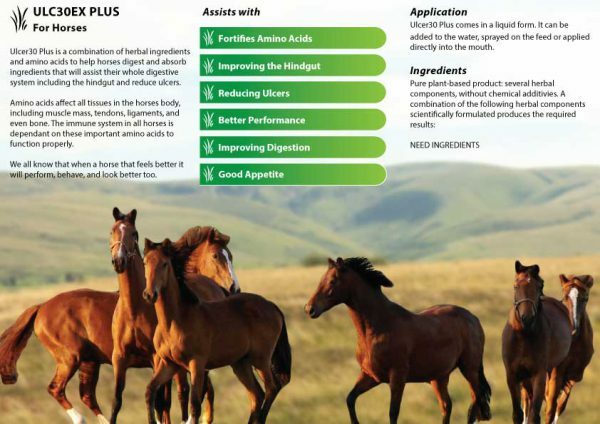 Research has estimated that up to 88% of all sport horses have ulcers, so improving the gut-health by including herbal and digestive aids will enhance your horse’s attitude, appetite, physical condition, and performance. We all know that when a horse feels better it will perform, behave, and look better too. When horses eat, most of what is consumed is digested in the fore gut. 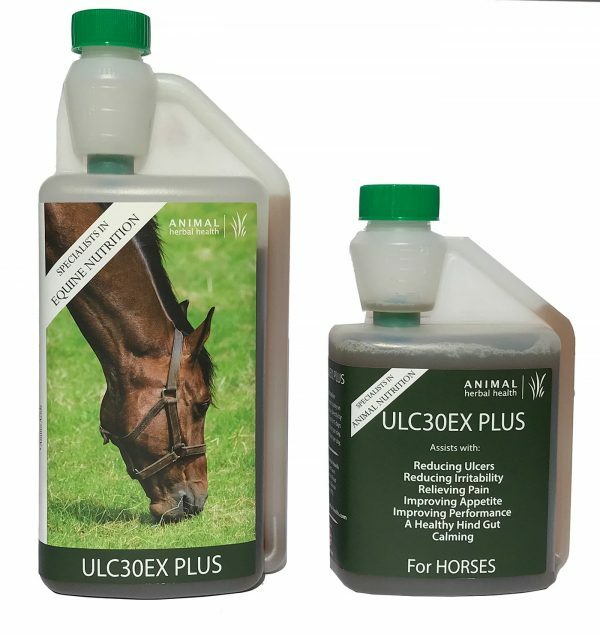 We have formulated ULC30EX Plus so that it can travel to the hind gut as well as the fore gut so that its herbal benefits can attack ulcers that have been unreachable in the past. Trials that have included ‘scoping’ have proven that the ulcers can be reduced by up to 80% within the first six weeks course. The ingredients in Ulc30EX Plus improve the health of the horse and boosts its digestion so that all food is digested so it does not get expelled into the horses system as toxins. Horses that do not perform or look as well as expected will improve, look and behave much better within a few days. 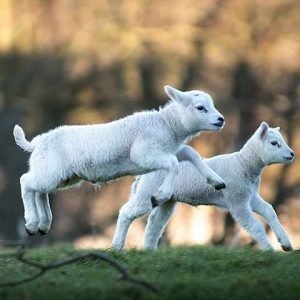 The type of improvement seen is that they will put on weight as expected and their coat will look much better. We have seen horses behaviour change within a few days, their eyes get brighter and they are more reliable, plus we have also seen their hooves are easier to manage. The herbal combination and other aids will help and assist the stomach to get rid of ulcers and any that have migrated to the hind gut as good food digestion is fuel for white blood cells that fight off infection within the body and in addition can aid in the healing process. 1 litre ought to be enough if it is used as directed to start then the amount given is gradually reduced. Ron. 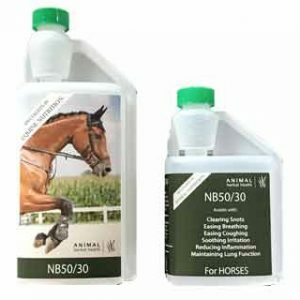 My instructor, Natalie Chapman, recently received her Ulc30ex Plus sample from you and felt that my horse needed it more urgently than hers. We started to give it to him on Friday afternoon and did not see any great results over the weekend. However, on Tuesday he looked much brighter in his stable, was less agitated and allowed me to groom him all over without too much fuss. He was still a little bit guarded when ridden. Today I caught him fast asleep in his stable – the first time I have ever seen him with his eyes actually shut, an incident with a horse pulling back and breaking a lead rope caused him to jump, but there was no over –reaction (in fact less that I would expect from most horses) and he had a real spring in his step when ridden. His eyes look brighter and he is actually becoming lovely to be around. I can only put this down to the Ulc30ex Plus. I did email you to ask if I should still be giving him Tranquil, which contains Verbena, but have not yet heard from you so have carried on. It seems to be OK, but I am wondering if he might be able to come off it naturally after a week or two anyway. I have ordered more Ul30ex Plus from your website and am looking forward to some happy riding with my boy. Many thanks for your help regarding the ‘ULc30Ex Plus’ and ‘Remount’. All are responding well to the Remount and signs are good. I found the information you supplied me with very interesting and helpful. Prior to trying Ron’s, UlcerX30+ treatment my mare Pepper, was showing sure signs of discomfort, which I believe from her symptoms, were a result of ulcers. Pepper was very uncomfortable in the girth and lower back/pelvic area. When being saddled she would put her ears back and swish her tail. And at times she would stamp her feet. Once she was saddled she would arch her back and try to jolt forward as if running away from pain. Then when I tried to mount she would kick out at me as if to tell me not to get on, then when i was on she would sometimes try and bite my feet. Ron gave me the opportunity to trial his UlcerX30+ solution on Pepper to see if it would ease her symptoms. I fed it to her as advised 2x daily for the first three days then lowered the dose to 1 x daily after that. Days 3-4 the symptoms were a lot less, with Pepper only slightly swishing her tail when I took her saddle off after being ridden, nothing before. Then by day 5, Peppers symptoms had all vanished. She was completely back to normal. We actually went away competing two weeks after we had started the trail and came away with lots of ribbons. We even won ridden champion of the whole show and reserve supreme, had Pepper not felt comfortable, I am certain she would not have performed so well. Wow! Truly amazing difference in my mare. She would completely shut down after 20mins of riding, would not move. Crabby when tacking up, circling in stable when putting saddle on. Trying to bite when putting a rug on! After a few days of the ulcer treatment I have a changed horse. She now stands still when tacking up, don’t even need to tie her up. Now loves attention and cuddles. She’s only been on this for a month now and now I know she is feeling better I took her to a Geoff Billington lesson and she was awesome! I’m keeping her on this natural treatment for sure. I also bought the silent 4 and remount for my older TB gelding which is also brilliant! Ron is so helpful and knowledgeable! My boy was horrible. Cow-kicking and snapping whilst girthing up. Getting on, he would try and squash you. Had recently started balking in work along with the tail swishing . Started him on ULC30EX Plus on Friday 5th October. The first few days, i did not see much improvement, but then after a few more doses he appeared not to be so girthy and cow kicky. Unfortunately, Storm Callum put paid to riding for a couple of days, but when i did tack up, no attempt to bite me. Still a bit kicky, but a definate improvement. 9 days on it…. took him flatwork training…no cow kicking whilst tacking up, no humps whilst warming up. Not completely perfect, but that could have also been due to the pouring rain. 11 days and he has morphed back to his former self. Have just re-ordered the litre bottle. He was only on 25ml a day, in hindsight perhaps I should have doubled the dose, and would probably have seen improvements earlier. If it weren’t for Ron’s products I never would have ridden my mare again, in fact I accepted that she would just be a non ridden companion. She was reactive, spooky and so worried about life in general. I got to the point where I was scared to even walk her in hand. A friend recommended ulc30ex and after 3 days I noticed her back was softer, 2 weeks on I was back riding her! Much less reactivity and so much more enjoyable for us both. I’ve also recently tried the mare formula and today walked her past a stallion on a narrow lane and she didn’t even look at him! I can’t believe the changes these products have made in her and long may it continue. Totally transformed my horse. He was treated for grade 4 ulcers which left him healed but very grumpy, wouldn’t let me touch his hind or change his rugs & was constantly trying to bite me. (Never had this before treatment) after 3 days my horse was back to his happy self. Now onto my 3rd bottle! Lifesaver! The UlcerEx30 is a brilliant product , settled my new horse’s tum so much I’ve kept him on the lower dose. Worth every penny, happy horse and happy customer. I’ve noticed a massive different with my mare with ulcers – Thank you!! 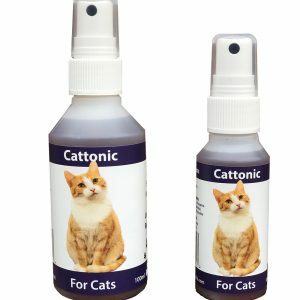 I can’t believe how brilliant this product is. Saw an improvement on the second day of using it. 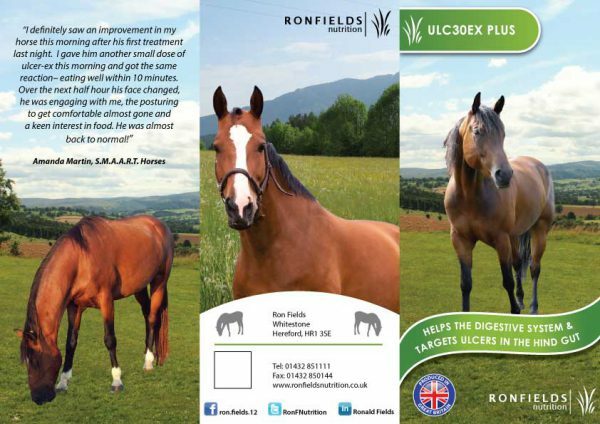 I have a completely different horse, even my vet was impressed & will be recommending this product to others. Am over the moon with the ulcer & calmer products. I noticed a difference on the second day of using them. I have a totally different horse. The vet came out today to give him his vaccinations & I showed him your products. He’s taken a photo of them & said he’d recommend them to clients as was so pleased with the difference I was telling him. My horse is going into spring looking & feeling amazing. I will definitely be ordering again.